In September we took our five kids on a holiday to Japan. It was only brief; we stayed three nights in Osaka and three nights in Tokyo. None of us had been to Japan before and the only one who spoke any Japanese was the 14-year-old who has been learning Japanese for the last two years at school. We were all very excited to visit Japan but I did have some quiet reservations – would the kids eat the food, would we be able to get around without understanding the language, would everything in Japan be super expensive? Visiting Japan with kids exceeded all our expectations. It was such a fantastic family trip to Japan and we would have loved to stay longer. The Japanese people were so incredibly helpful to us. People went out of their way to help us if we asked them for directions or assistance. As you might guess from the title of my own blog, Planning With Kids, I am fairly keen on planning and organization. Japan is so well organized, clean and efficient making it so pleasant and easy to get around with kids. There is so much I think that Australian cities could learn from how the Japanese run their public transport and the cleanliness of public amenities. 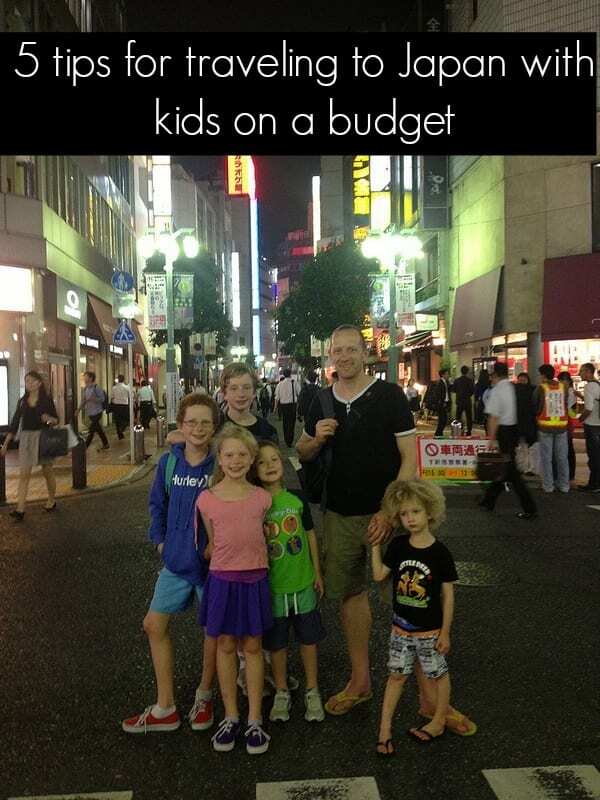 Traveling to Japan with kids doesn’t have to break the budget either. 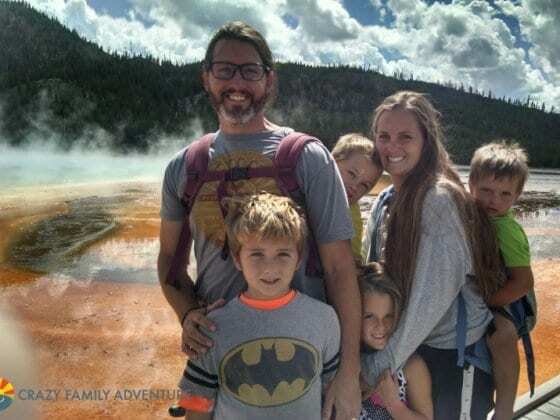 Before we left for Japan, Caz and Craig kindly did a shout out on their Facebook page asking for tips on visiting Japan with kids and we picked up many, many great tips which helped us not only have a great time, but keep our costs down for the trip. Make sure you know exactly what your ticket includes. While we did have our flights covered through an arrangement via the blog, like we have done previously when we have flown as a family, we flew with a low-cost airline. It might seem daunting to fly on a budget airline with kids, but it is completely manageable if you prepare for it well. Most budget airlines include the fare only so you need to add in food, entertainment and comfort packages. For the flight to Japan, food was a must for us, we did also choose the entertainment packages, but you do not necessarily need one for each person if they provide the individual iPads. They can be shared and you can always bring your own as well. Even if you purchase the food option, I highly recommend taking along additional snacks. Because if they like the airline food, which is never guaranteed with kids, they will most likely still need more to eat if they are like my kids. I made ziplock snack packs for the kids, which came in very handy towards the end of the flight. The Backpack Traveller alerted me to the possible need for a Japan Rail Pass. If you were staying in Japan for longer than a week and were going to be travelling by train between major cities, a rail pass would definitely be the economical way to go. You must buy them before you get to Japan. Check out this site for more information. We had an internal flight booked to get us from Osaka to Japan, so with the small journeys we were going to be taking, we didn’t need to buy a rail pass, we just bought tickets at the train stations as we needed. The Japanese public transport system is the best I have come across. The trains run frequently, they run on time and the trains and stations are all so well presented. Even with no Japanese we managed to navigate our way around both Osaka and Tokyo. Don’t be afraid to ask station staff or other passengers politely for help. We did many times and everyone was fantastic at helping us get to our desired destination. Feeding five kids away from home can be very expensive. We wanted to experience Japanese food, but also make sure the kids were well fed to be able to fuel our long days of sightseeing and exploring. Hotel buffet breakfast – the reception staff at the Courtyard Marriott Ginza kindly gave us a voucher for the buffet breakfast, which meant we saved about $8 per person. We would have a later breakfast around 9ish and the kids would eat whatever they liked, with encouragement from me to add eggs and other protein to their breakfasts to fill them up. The big breakfast kept them happily well fed for hours, so was worth the price we paid. 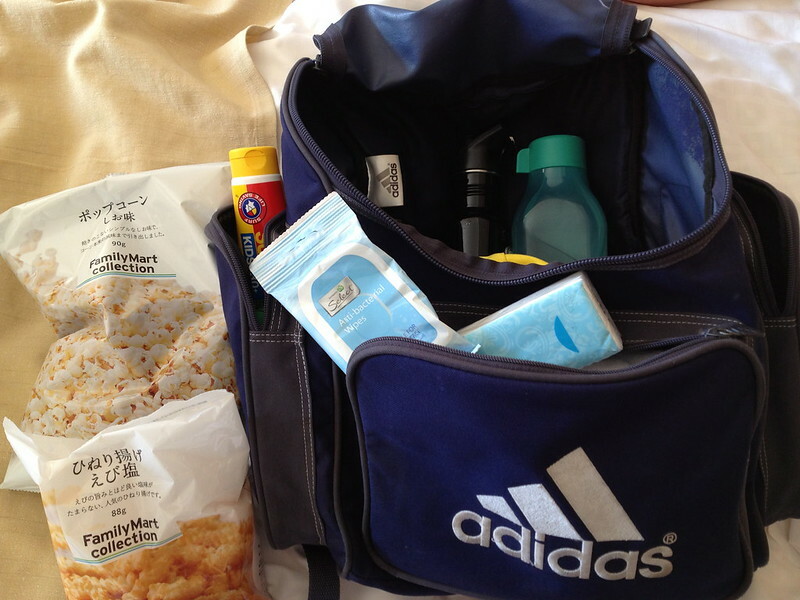 Snacks and water bottle – Each day we would stop by places like Family Mart and pick up snacks for the following day. This was inspired by the tip from Clare Tomonaga. We would buy things like popcorn, rice cakes, etc and we would have them 3-4 hours after breakfast. We brought our own large water bottles from home and took four of them filled with us when we left the hotel each day. As we were in Japan in September the weather was still very warm, especially in Osaka and with all the walking we did we needed to make sure the kids kept hydrated. Once kids start to get thirsty, the whinging starts and the wanting to stop happens. Preventive measures are best! Cultural dinner – As suggested by Besudesu Abroad we did try some regional specialities okonomiyaki in Osaka and Tempura in Tokyo. These were actually highlights for both adults and kids. This was really a two for the price of one deal; we were well fed and entertained at the same time! In Osaka, we went to Okonomiyakiya “Kiji” which is located in the “Takimi-koji” restaurant mall at the basement of Umeda Sky Building. We went to the Floating Garden at Umeda first, then had our late lunch here. It is very popular among the locals, so I recommend visiting outside of traditional meal times. We would have waited for about 25 minutes before we were seated and had our orders taken. Okonomiyaki is a Japanese savoury pancake and is so delicious. 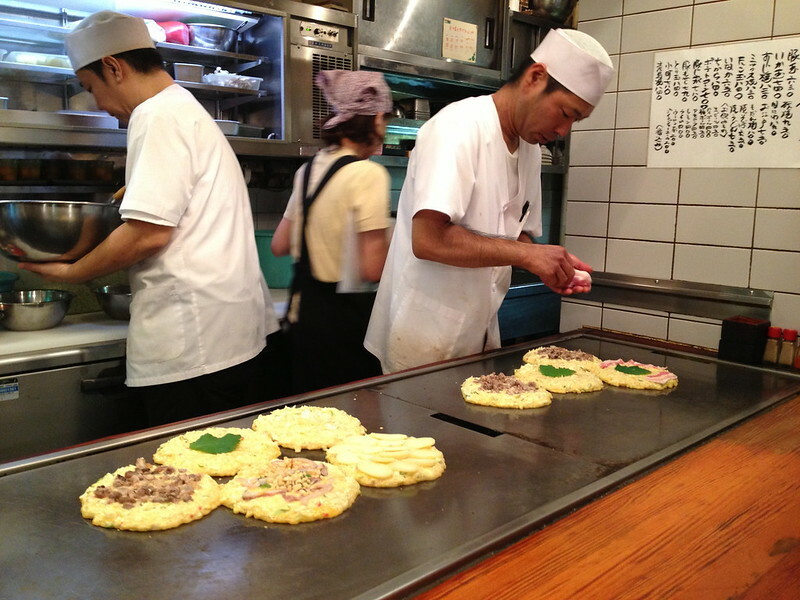 You can watch the chef’s whip up the Okonomiyaki and they serve them on a grill that is embedded in the middle of the table. You can see more about our fab experience here. In Tokyo, we went to Shinjuku Tsunahachi and we also had to wait to be seated – probably closer to 40 minutes. No photos were allowed inside the restaurant, so unfortunately, I cannot show you the beautiful food we ate. This was actually the first time the kids had eaten tempura and if hadn’t been for the price they would have easily eaten more. This tempura bar was a little more expensive than others, but being able to sit at a bench and watch the chef’s prepare and cook the food was worth it. The kids were completely fascinated by it and sat quietly for the entire time their meal was being prepared just watching it. They also had a western menu with instructions on how to eat your meal which made life easier too. 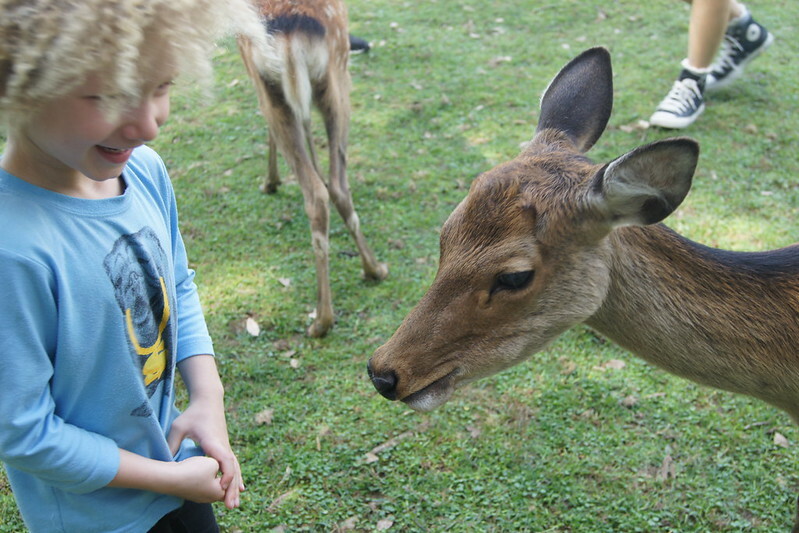 Nara Deer Park – an absolute highlight for all of us. Thanks to Besudesu Abroad for the tip off! 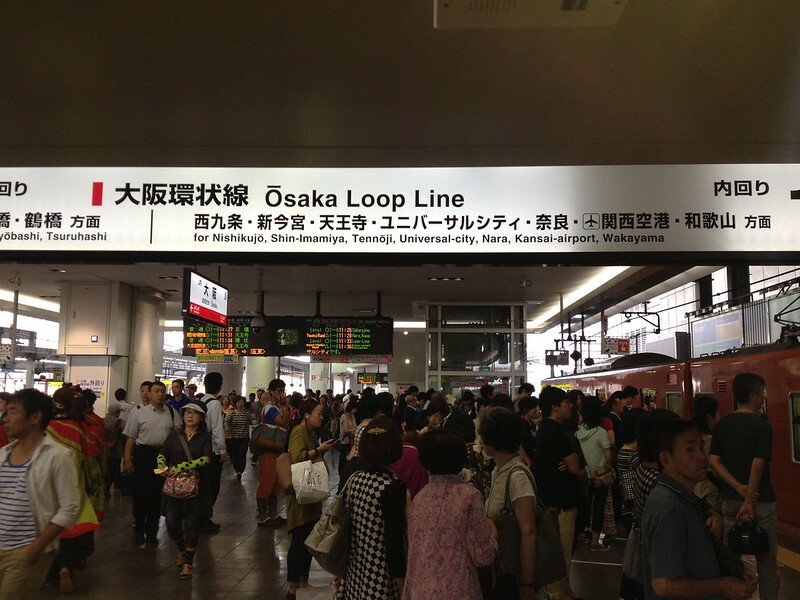 We took a couple of trains to arrive at Nara station and it took us only 50 minutes. It is a 15 minute walk from the station to the park where not only can you walk amongst roaming deer but you can also see beautiful temples, all of which is free. 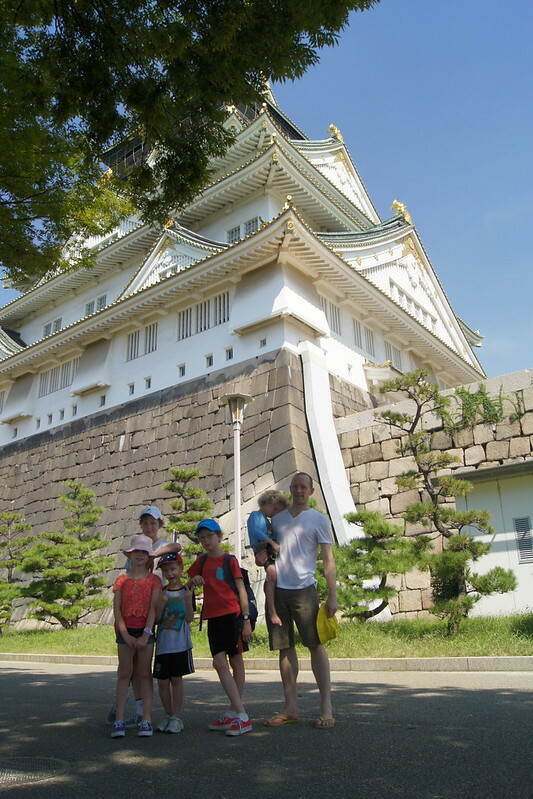 Osaka Castle – This was suggested to us by many readers and it was certainly worth seeing. It is a decent walk from the train station, so make sure you have good shoes for walking and snacks and water for the kids if you want to spend some time exploring the castle and its surrounds. Kids were free and adults only JPY600. Tsukiji Fish Market – Bethany Davies and others recommend the fish market and I have to admit to thinking this wouldn’t be the most exciting of places to visit, but happily I was wrong. The Tsukiji Market is the biggest wholesale fish and seafood market in the world. The peak of the market activity is before 9am and tourists are not allowed in the market before that, but entry is free. You are not allowed prams, large bags, open footwear, pets and on a sign at the front of the market, it also said, small children. We took all five kids with us, the youngest being four and we had no problems. We were all fascinated by the buzzing and humming of the activity and how amongst the chaos of people and vehicles it just all worked without incident! There is also an outer market selling goods and restaurants where you can sample the fresh seafood. Sumo wrestling – Tuna Maal added a link to the discussion on facebook which brought sumo wrestling to my attention. We were so lucky that there was a Grand Tournament on when we were visiting. We bought tickets before we left Australia as these events are very popular and sell out. Ticketing has a number of options and we would have loved to have a box seat, but the cost was prohibitive for us. Single tickets were ¥3,600, while a box for four people was ¥36,800 and we would have need two. While we were much further from the action, we could still see very well. 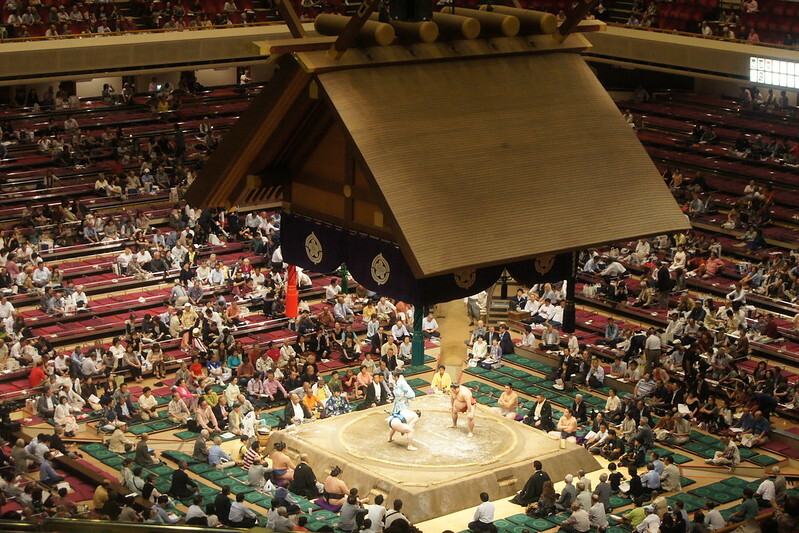 It was great to see the traditions and customs that form part of the sumo wrestling. Tickets allow you to stay all day, but we opted to attend only the last half. This was fine for the older kids but thankfully we had packed activities (and snacks) for the younger ones who found it a little boring after the first couple of hours. As were visiting both Osaka and Tokyo we had three options for theme parks – Universal Studios, Tokyo Disneyland and Tokyo DisneySea. Chris Lewis Little – Okay Tokyo Disneyland is Magic Kingdom 100% but Tokyo Sea is the unique Disney experience for Japan. Where else will you get soy sauce popcorn. 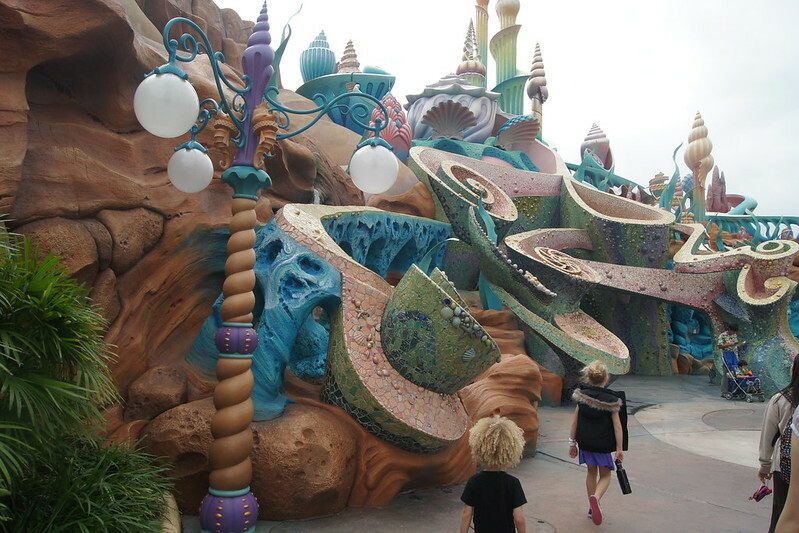 I did further research and found that for the ages of our kids (14 – 4) DisneySea was the best bet. For younger kids and if you have not visited a DisneyLand before, it would be DisneyLand, only older kids and Universal Studios is probably better. You could easily spend an entire day (until 10pm) at DisneySea, but we didn’t. As such to get the most out of it, we opted to miss the shows and parades and let the kids choose the attractions to go on. We split into two groups for most of the day – three kids with dad who liked the more adventurous rides and two kids with me who wanted to take it a bit tamer. None of the rides are particularly wild though. While it seems a little expensive to buy the refillable popcorn tub, it is an experience my kids loved and are still talking about. DisneySea is organised into themed areas, all of which are highly detailed and well thought out (like Mediterranean Harbor, American Waterfront. etc). Each area sells a different flavor popcorn and the kids thought this was so great. We tasted strawberry, curry and black pepper. 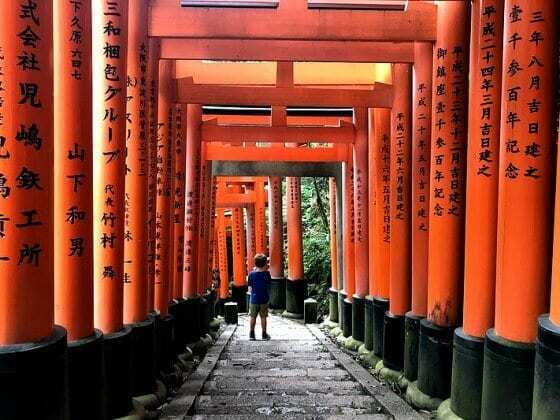 While this isn’t a tip to save you money, embracing the culture of Japan will certainly enhance your visit to Japan with kids. Chris Lewis Little – Just a note that Japanese don’t walk around and eat or drink, no eating, drinking or talking on the cell phone in the train. Besudesu Abroad – Stand on the right side of the escalators. Ellen Edmonds-Wilson – Alerted me to the fact that Japan runs mostly on cash. The majority of places in Australia take credit cards and that is what we are used to using so it was good to know we would need plenty of currency. We really adored our holiday in Japan with kids. Thanks to the yTravel Blog readers who helped make visiting Japan with our family so fantastic. Booking.com has over 7,000 properties in Japan including hotels, apartments, and guesthouses. You get free cancelation on most rooms and a best price guarantee. Bio: Nicole Avery is the master organiser behind the popular parenting blog Planning With Kids, where she shares tips and tricks to organising the chaos of family life and with five kids aged 14 – 4. You can read more about her family trip to Japan here. We went to Japan in Sept 2012 and LOVED it. All your tips for budgeting with kids totally apply to adults too. We were surprised by how affordable it could be – we enjoy just being in a place, taking the train is entertainment, and figuring out meals is fun! Kaiten (or conveyor belt sushi) was cheap, entertaining, and good too! 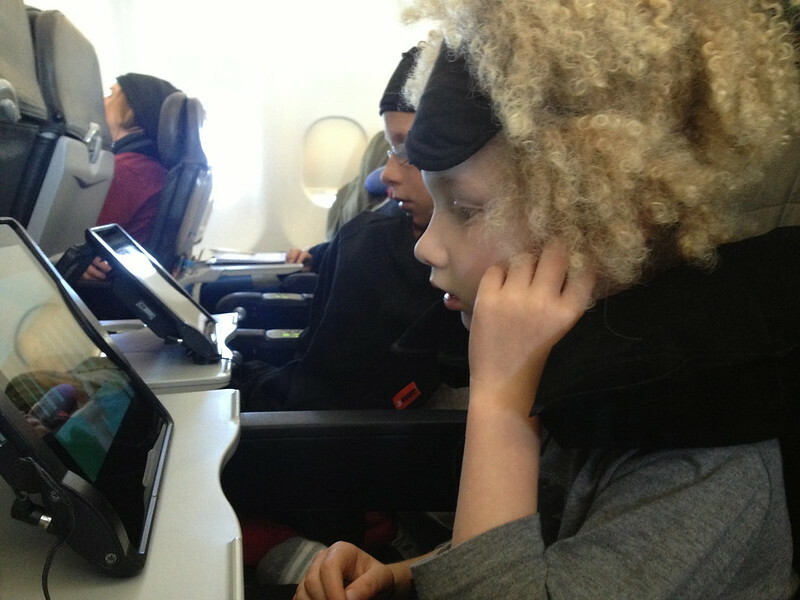 I bet you had a blast with five kids there – the Japanese love children and those blond curls must have caused a stir! The Japanese did adore the blonde curls but were so polite about it. A number of people used a translator on their smartphone to politely ask if they could have their photo taken with him! 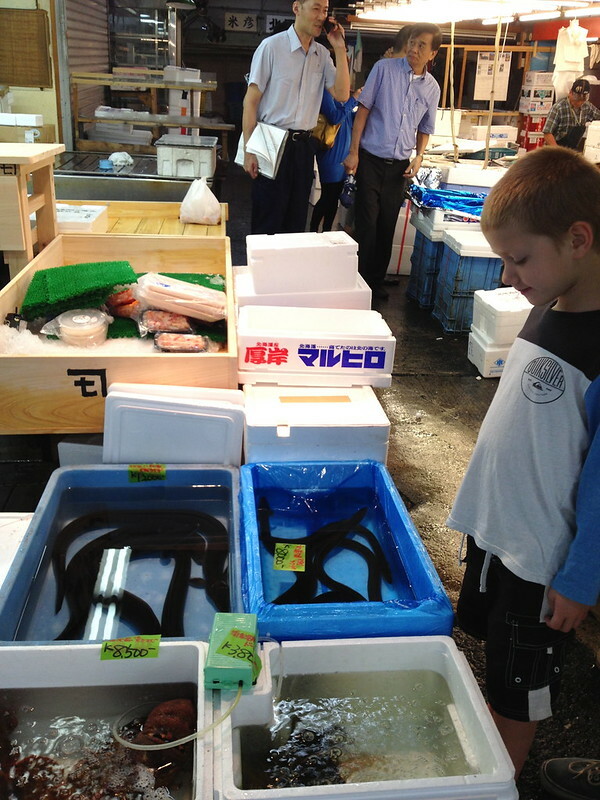 Glad Nicole and co visited the Tsukiji Fish Market. Definitely one of the most interesting things I’ve done on my travels! Thanks for all your helpful tips Bethaney! The fish market was definitely a highlight and something very unique to have seen. I loved Japan so much! I also found it surprisingly cheaper than expected. I assume that had something to do with the strong AUD last year, but I still think it’s completely possible to visit Japan and do it both well and cheaply. Japan is up in my top 3 holidays. Loved it and really would love to go back and see more. I am so glad my tip about the convenience stores was helpful. I am a huge fan of them and wish they existed in the Japanese form elsewhere. The deer park is new to me so we will definitely try and make it there on our next trip to Japan in March. So glad you enjoyed Japan. It can be a little daunting if you don’t speak the language (like me when hubby is working) but as you say the Japanese are so helpful to visitors. I live in Japan and I’ve been traveling a lot. However, I don’t have children, so I found this article very interesting and will share it with my readers. There are a lot of things especially in big cities such as Osaka, Tokyo and Fukuoka for little children to enjoy. There’s Universal Studios in Osaka. Disneyland in Tokyo etc. The aquarium in Osaka is surely also a lot of fun. There’s a great ninja museum and a ninja show a bit outside of Kyoto / Osaka in Iga-Ueno worth a day trip. You can go by local train, so it’s not too expensive. If you go in winter, I highly recommend visiting the “snow monkeys” in Nagano. They’re batihng in hot springs there. Glad you had fun. Love Japan, hopefully sending the kids there, again, to our Japanese friends this summer. 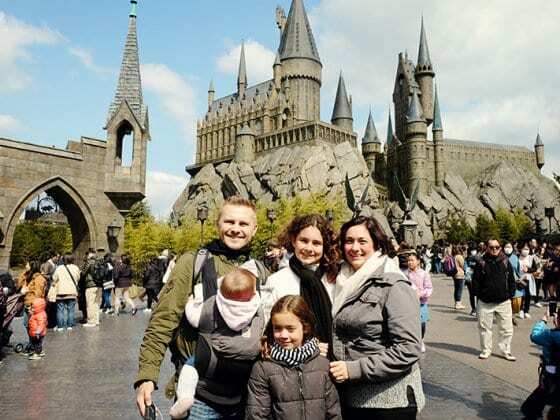 Nicole, thanks for sharing your tips on getting the best visit with kids to Japan. We are currently planning to do a bigger family holiday in 2015 and Japan is one of the options we are considering, so your tips are great for initial planning and expectations. Reading about Japan is always different, because it’s still not an obvious tourist destination. 🙂 I must say these tips are very helpful for anyone visiting Japan for the first time. Thanks a lot for those tips. I have heard a lot about the warmth extended by the Japanese to the visiting tourists. I absolutely loved the idea of you packing food in the zip lock snack packs for your kids. However, was curious if you could elaborate a bit on the “cultural dinner” part..what’s that all about? I love the post. If you’re into the cold weather like me, Japan is really a great place to go tripping. It’s really cold there at the moment. Sure had a wonderful time over there. Japan is a fantastic country to live work and travel. I lived there for 13 years and will most certainly move back in the future. Not eating or drinking on the train might be the polite thing to do, but it’s not a cultural rule any longer. It’s very common for younger Japanese and salarymen to bring alcohol and food on the trains now. These are tips I am using for adults, too if I travel to Japan. Planning your meals (and having snacks handy) is especially helpful. And reminding the kids to keep up with their Facebook entries is a great way to occupy them if boredom starts to set in. Lovely to see this summary of Nicole and co’s trip, I remember being excited when they went. And I’m amazed at how many highlights they packed into such a short trip. It took me 2 years and I still didn’t do them all (I missed out on Disney Sea!). The okonomiyaki in Osaka is still a big favourite of mine. Must get myself organised to take my son to Japan soon!! Great article ! I must say that Japan is a budget-friendly destination and there are many places in Japan, which are worth to explore. Fun to get a glimpse of your experience! We lived in Japan for the first 6 months of this year and are traveling back in 2 weeks. We love it over there. I enjoyed your tips. Just wondering if you could provide advice on what hotels to stay in while in Tokyo for a family of 4. We’re traveling in July and am tentatively planning on visiting Tokyo and Kyoto. The Ryokan style inns sound interesting but seem pricey. Any advice and recommendations ? My budget would be anywhere from $150-$250 USD per night. Thanks in advance. Japan is such a great country for Kids. It’s safe and they definitely get the culture shock factor. Did you use the JR Pass when you went? Hi there! Thank you for sharing your travel experience! Definitely gave me some tips for my upcoming travel to Japan. I am travelling with 3 young kids, and I’d like to ask a few questions about some things mentioned in your blog. You mentioned packing up some snacks in ziploc bags and water, did you buy the snacks in Japan or brought them from Oz? And is the tap water drinkable in Japan? What about highchair in restaurants? I have an 18months old and I wonder whether I should bring a portable highchair for my trip. This was just what I was looking for! An additional question is where can I find info about race in Japan? Planning on visiting with a family of five and one additional friend. Out of all, only one of the group is white, the rest of us are African American. Two adults, and 4 teens. We need all of the navigational help that we can get! This is so useful. We are hoping to visit Japan with our two children next Easter when they will be 5 1/2 and 8 1/2. I was just wondering if there are any books you could recommend to help us plan our trip? Many thanks. Japan is lovely, especially when you travel with kids, because you get to see how they go crazy in Tokyo’s Disneyland! And if you travel in the month of April you will also be able to enjoy the amazing colors spreading around, while the spring is at it’s bestest! I was very happy with their services and had precious time in Japan! Hello, I also have 5 children, currently ages 12, 8, 3, 1, and NB. We live in the US but I was wondering how much (roughly) you spent total on your trip? How many hotel rooms did you need or were you allowed to fit everyone in the same room? I’m hoping to take my family on one big family trip in the near future when our NB is a little bit older. Any additional advice esp with your 4 yr old? Our budget is $ 10,000. What were the absolute best places to go? My 12 yr old is really into mangas and everything Japanese. Thanks for any help!! Any safety tips for traveling with cash/kids in Japan?? What a great blog! thank you so much for sharing all the tips- i have been to Japan for work, and wanted to take the family including my 6 year old. This blog certainly helps me plan it right! Cant wait to visit Disneysea soon! When is the best time to travel to Japan with little toddlers? I know it has been four years since you wrote this blog and the tips, invaluable. My partner and I have been taking our 4 kids to Bali as our family vacation destination because price wise, but we fill we could do better and would love to visit Japan. Trolling on the web for more insights on accommodation and when would be the best time to visit I came across your article. I realised you didn’t mention where you stayed and an estimate on spending money maybe we could arm ourselves with before making the plunge to visit Japan. I hope you come back to this page to be able to give me and other readers some insight on the two factors I mentioned. Hi there, I enjoyed reading your article so much – I’m planning on possibly organsing a trip to Japan next year, but I must admit I’m a bit daunted when reading about Japan, yours is the first that has simplified it for me. We have two kids 12 and 7, but the seven year old is a very reluctant nervous traveller who needs a lot of downtime or time just wandering about finding good stuff. I’m wondering if Japan is the type of place that we can book flights, accommodation and make up the rest as we go, bar a few activities such as the sumo wrestling etc. Would you recommend this or would it need to be a heavily planned trip with the queues etc I read about. I would probably go for 2.5/3 weeks so your idea of just doing tokyo, osaka, or would you go elsewhere or just base yourself in those two places and take daytrips? thank you so much in advance!!!! Thanks for this blog. I am getting some great tips. We are planning on going in 2019 for about two and a half weeks. The only thing i know is to get a Japan Rail pass and to keep destinations (bases) to a minimum and do some day trips. Any other advice. info or what you would do if you went back would be invaluable.